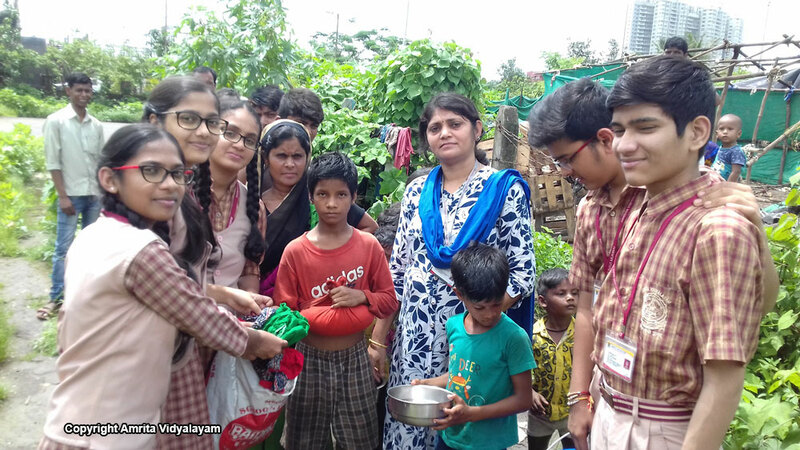 Sevamritham – The festive spirit of Raksha Bandhan was felt in the true sense when students of 9th grade visited the families near the school to distribute around 150 kg of rice and clothes. 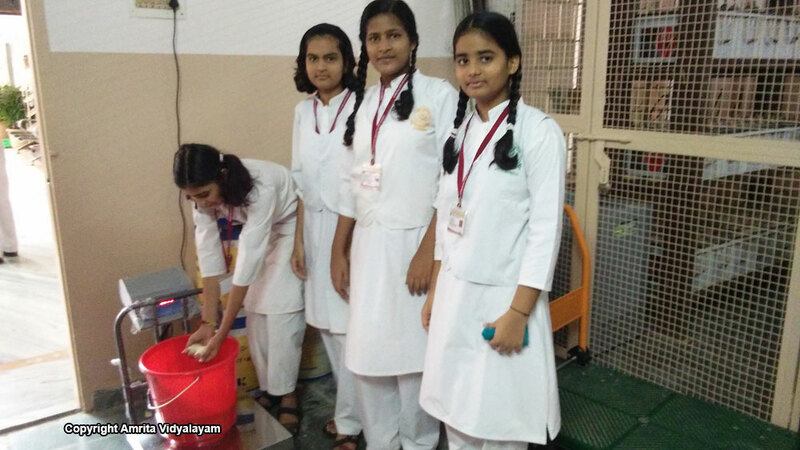 The students were fully involved in the Sevamritam Project right from collecting to measuring and sorting rice in different buckets for distribution. 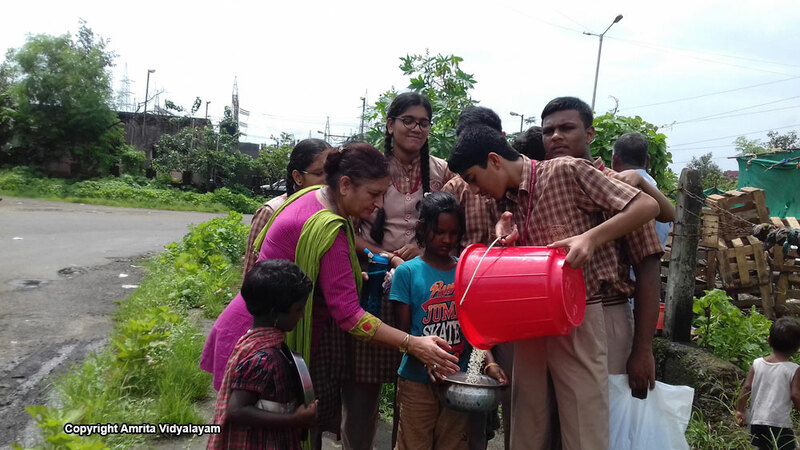 The classes that contributed the maximum towards Sevamritam are 6A, 6B and 7A. ‘Sealing of Desires’- A total of Rs. 5,400 was collected in the month of August and the classes who are leading in contributions are 7A, 4A, 6B, 8C and 5B. A heartfelt acknowledgement to the contribution of our teachers who have chosen to remain anonymous. The money contributed will be utilized towards buying food and other essential items for the families. 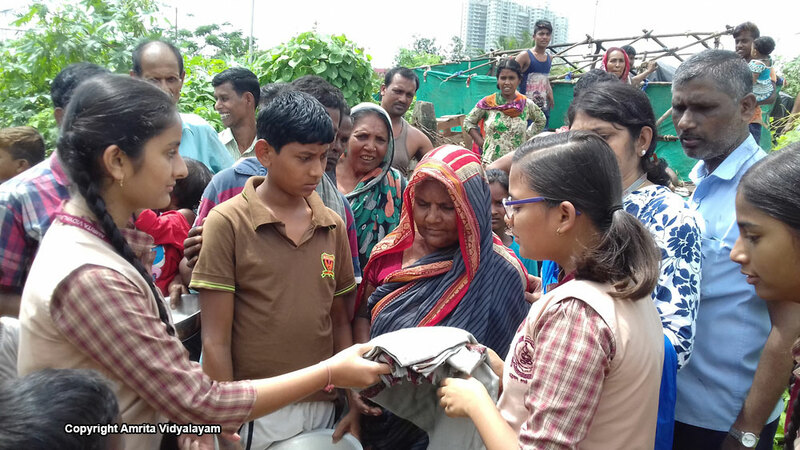 Wealth from Waste – A total of 10 cloth bags were stitched by students of Class 7B. 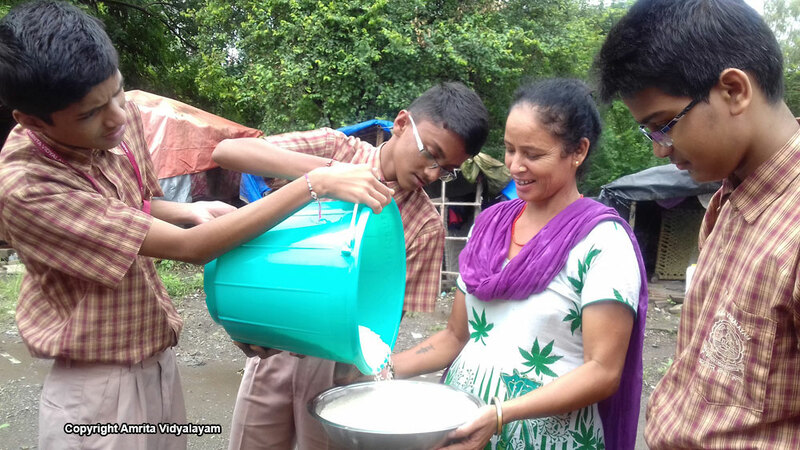 Bhootayajnam –Students from pre-primary to Std. II continue to bring grains like rice, millet, jawar, etc. to feed birds. Grihamritam – Students visited the Green Soles organization in Mahape to hand over the shoes collected under the “Happy Feet” campaign. The students were given a tour of the factory where they understood the process of refurbishment and how the shoes would be useful to children living in villages who walk long distances barefeet as they cannot afford shoes. 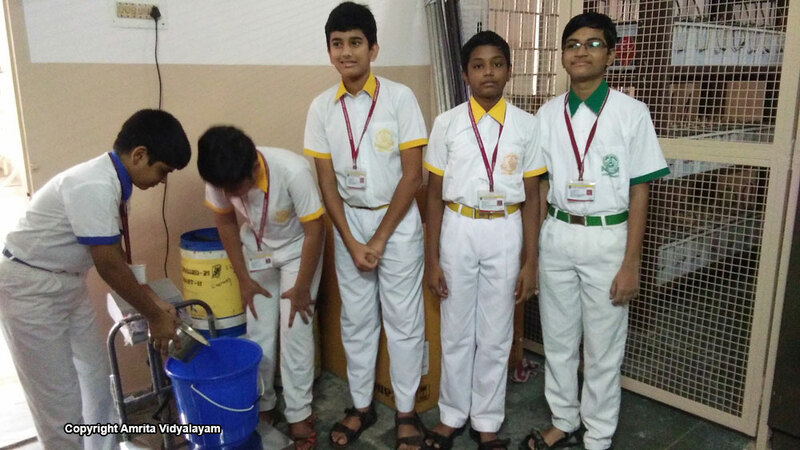 Snehamritham – Birthday of students, teachers and staff are celebrated by announcing their names during the assembly. 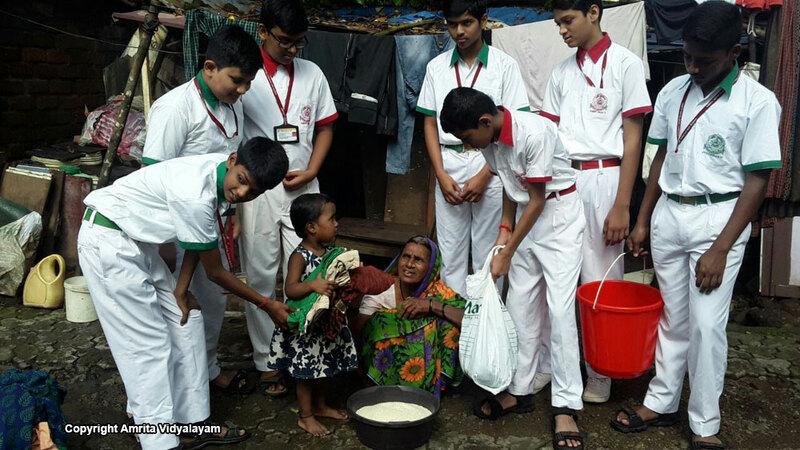 Shradhanshu Deo (3C) donated 7 kg of rice, Gaurav Sonavane (4A) donated 5 kg of wheat, Adarsh Raj (6A) donated 2.5 kg of rice, Sanket Rajkumar (9A) and Sharanya Poojary (4C) donated 1 kg of rice each, Shamika Mohite (6A) and Manashree Mokal (7C) donated clothes, Yajurva Chikane (4B) donated Rs. 500, and Adarshraj (6A) donated Rs. 200. 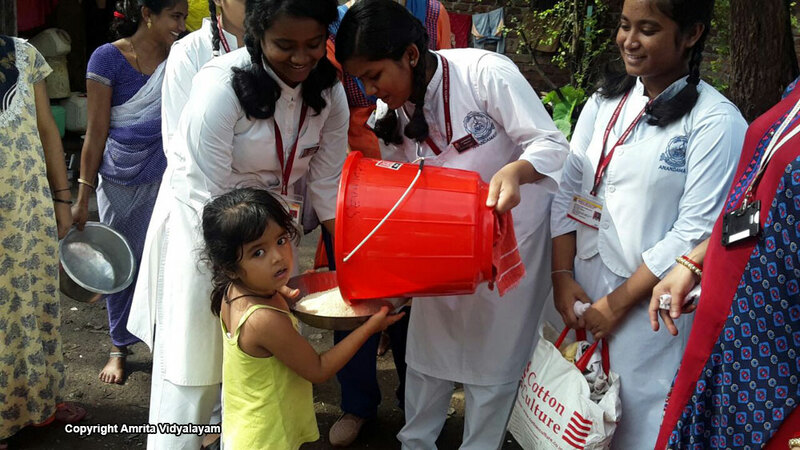 Pushpanjali – Students lovingly bring flowers which are offered at the holy lotus feet of Amma each day.